The highest sky bar in Amsterdam. Madam offers a wide range of drinks throughout the day, varying from a great coffee at noon to a refined cocktail after the sun has sunk into the horizon. Madam turns into the highest dance floor in Amsterdam, and glasses of wine are replaced by sizzling cocktails. On Friday and Saturday, Amsterdam’s DJ talent provides Madam’s guests with eclectic sets until late at night. Our bar operates a no-reservations policy. If you wish to swing by for drinks, there’s only one rule… Show up thirsty! 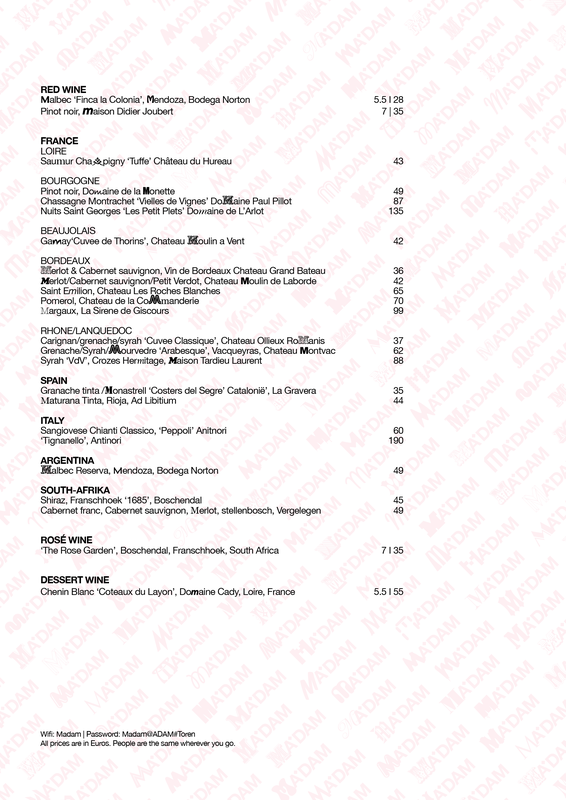 Madam’s wine menu is carefully composed. 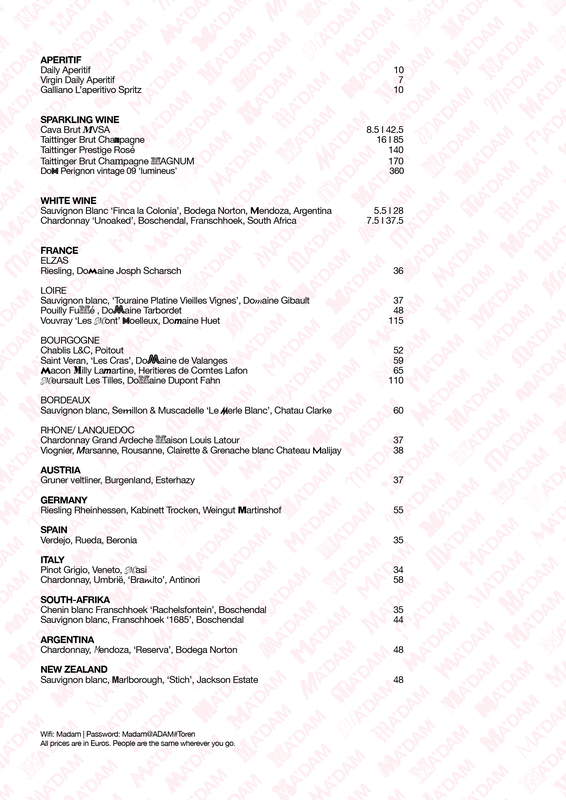 It mainly consists of French wines from Burgundy and Bordeaux, but also has various worldly other wines.